Happy Birthday, Paragon! Epic Games celebrates one year of Paragon with the launch of a new character and a major update. 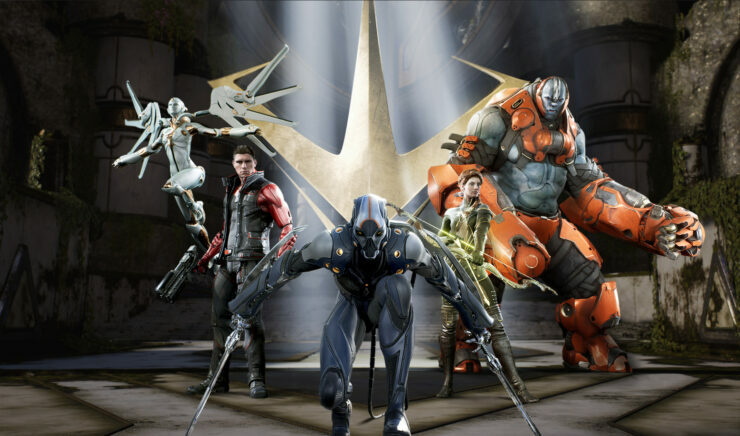 Paragon is a free-to-play competitive 5v5 MOBA from Epic Games that pits different fantastical sci-fi heroes against each other. Year One Gift – Play one game this week and receive a Year One Gift*. This gift will grant you one of six skins from the Vault, you can see the full assortment below. *Founders will receive an additional gift as a special thanks! Double XP all week long. Along with the Year One aka V.38.3, there was a major update that includes a new character Yin, major hero balance, and the introduction of Banners. Backlash (RMB/R1) – Yin cracks her whip, dealing damage in an area in front of her. If enemy projectiles are hit by the whip, they will be reflected back towards the enemy. Lash Kick (Q/Square) – Yin swings her whip, pulling herself to a target, and then jumps off of their head dealing damage. Windburn (E/Circle) – Yin reaches with her whip, increasing the range of her basic attack as well as gaining cleave. Quelling Gale (R/Triangle) – Yin surrounds herself in a whirlwind, displacing all enemies within range. For 5 seconds, the whirlwind will slow enemies and enemy projectiles that travel through it. Paragon is out now in open beta on PlayStation 4 and PC with cross-platform play between the two. Below are both the new trailer for Yin and a year in review for Paragon that includes all the major updates.